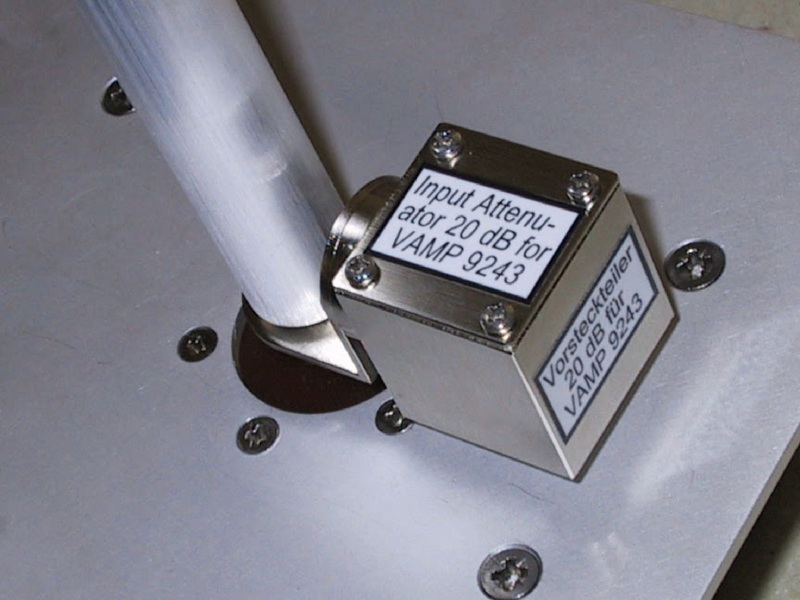 VAMP 9243 Vertikal active rod antenna, 9 kHz - 30 MHz, BNC, reduced noise floor, with mounting nut for AM 9144 and rechargeable battery. EFS 9218 Opt. VV Option: built in broadband preamplifier. 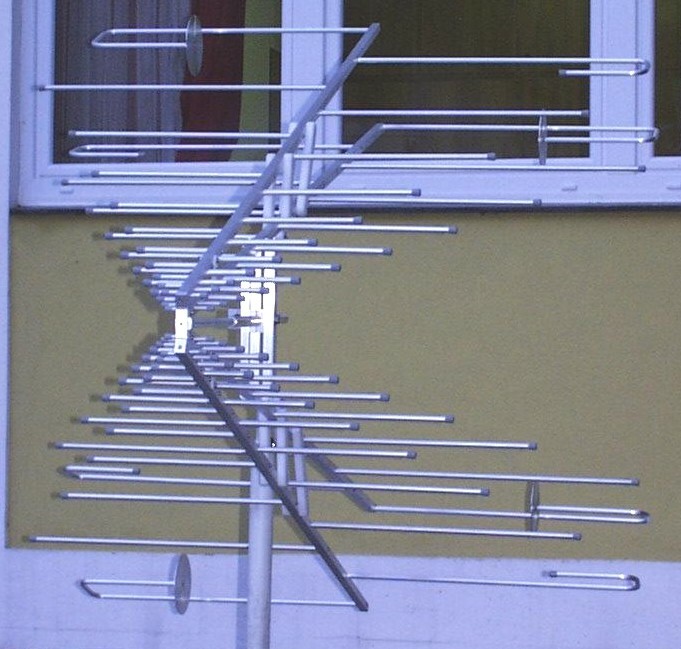 Antenna factor 20 dB/m, disengageable. 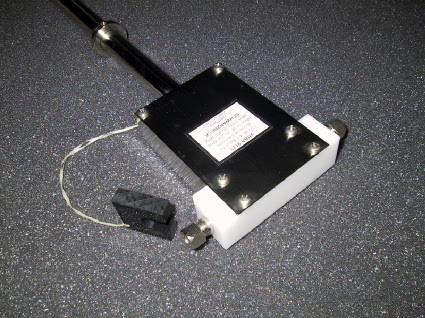 EFS 9219 Active antenna holder, high sensitivity (1 µV/m … 3 V/m), 9 kHz-30 MHz, BBUK 9139 biconical elements required. 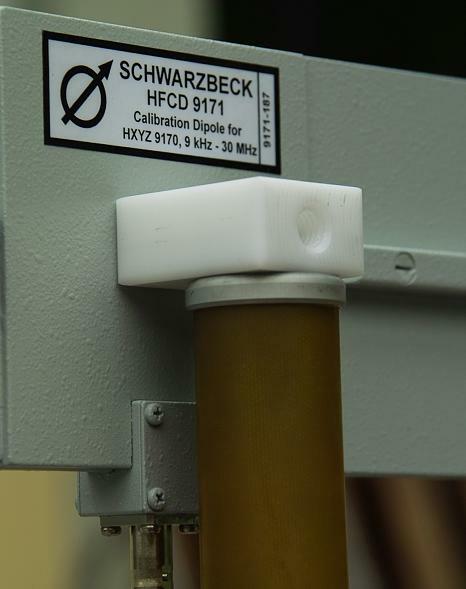 CDA 9271 Adapter to hold HFCD 9171 on AM 9144, 3/8’’ female large camera thread. 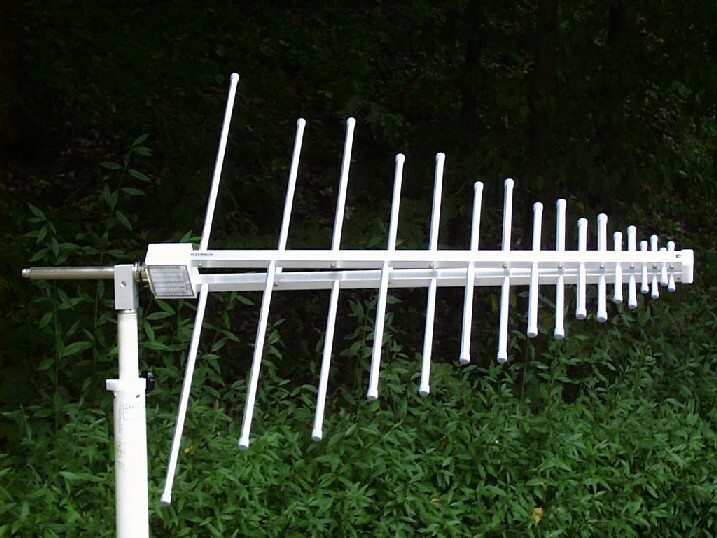 FMZB 1519 Active magnetic loop antenna acc. to CISPR 16, 9 kHz to 30 MHz, constant antenna factor 20 dB/m, built in rechargeable battery, charger ALCS 2-24A. HMDA 1545 Handheld magnetic field meter, LCD, acustic fieldstrength indication with tone generator, 9 kHz- 50 (80) MHz, 200µA/m … 1 A/m, 6 x Type AA NiMH. 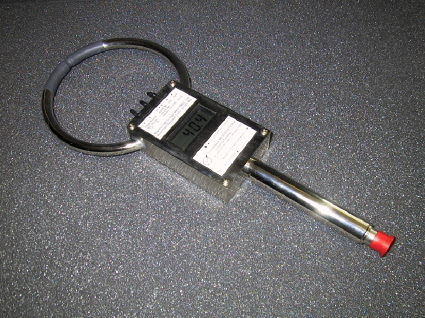 HFS 1546 Active magnetic Field Probe with shielded 50-mm-Loop, 150 kHz – 400 MHz. [Shorter version] available on request. 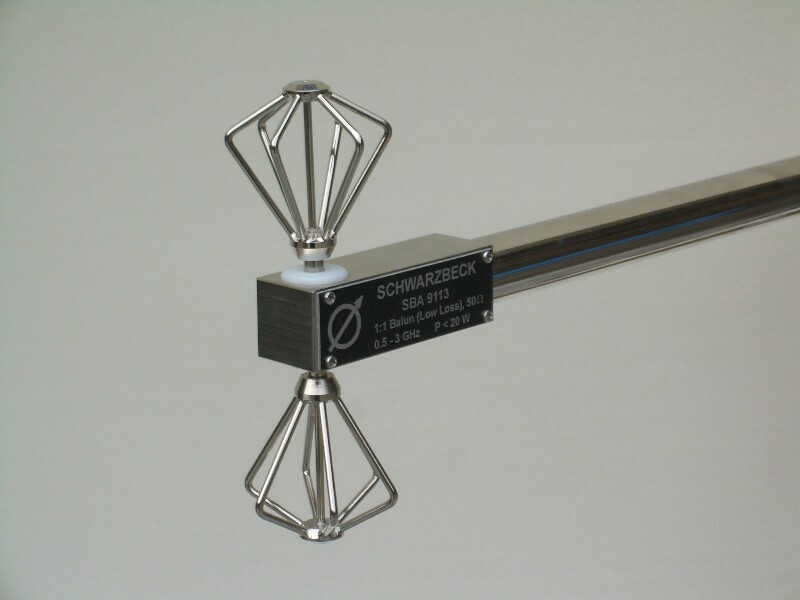 FMZB 1538 Magnetic field meter 9 kHz – 30 MHz, max. fictive E level 75 V/m (0.2 A/m), separate power supply cable. 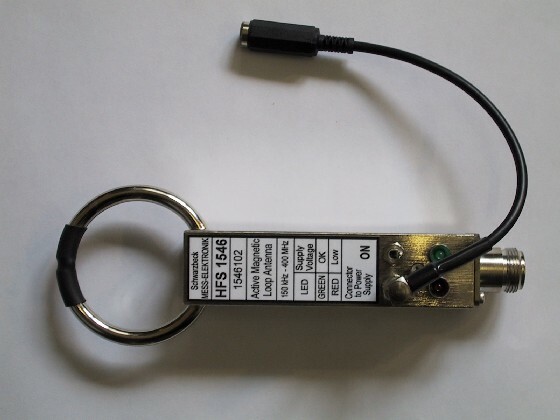 HFBA 9122 HF-VHF Broadband balun / holder (0.1) 0.15 - 300 (500) MHz especially to measure very high field strength. BBAL 9136, BBA 9106, BBAK 9137, BBVU 9135 or BBUK 9139 biconical elements required. 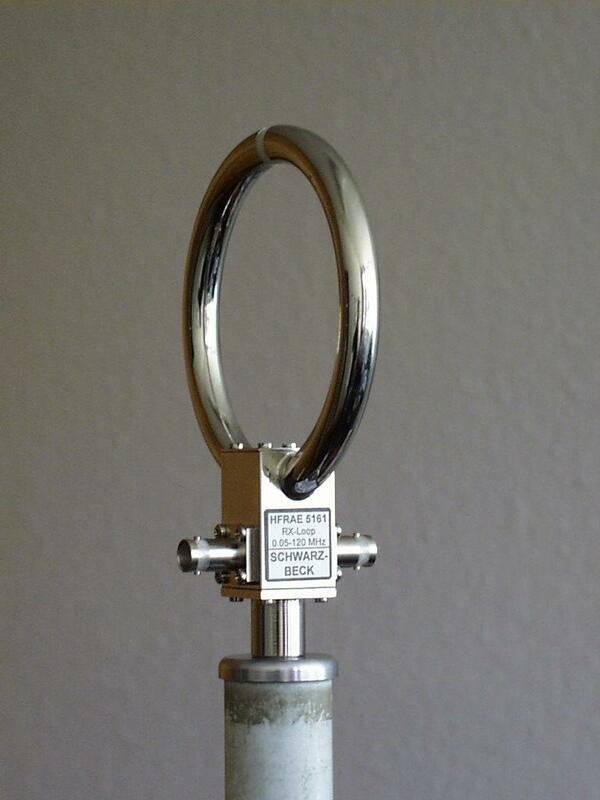 VHBD 9134-4 4 kW high power antenna holder / balun 50:200 Ohm, 20-200 MHz for BBAL 9136 or BBFA 9146, 7/16-female connector. VULP 9118 E Log.-Per. 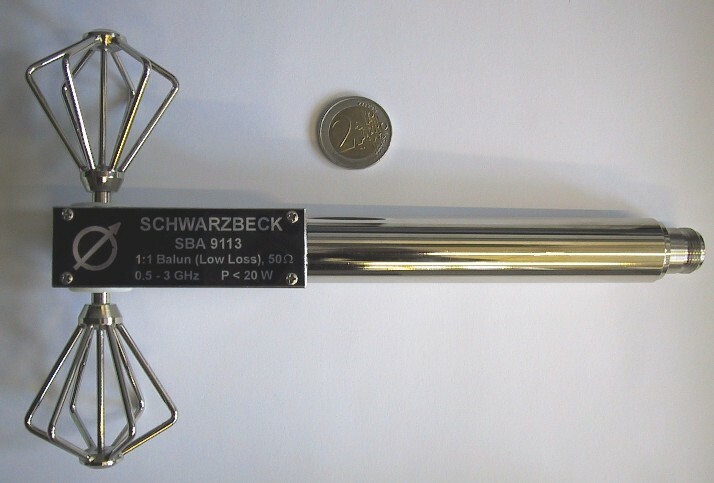 Antenna, aluminium tubing, 1 kW power, 75 (50)-1500 MHz. VULP 9118 E special Nearly identical gain as VULP 9118 E but with reduced width. Special = folded longest elements. VULP 9118 H Log.-Per. 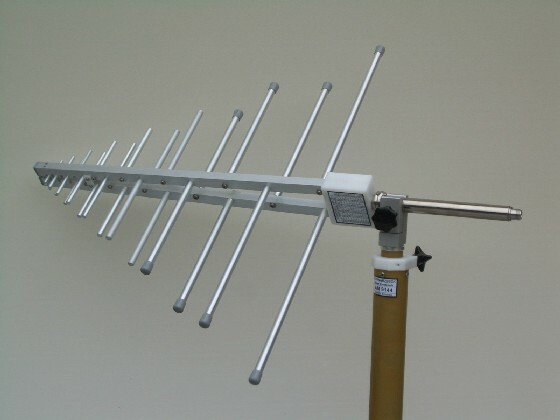 Antenna, aluminium tubing, 1 kW power, (26) 30 - 1500 (1800) MHz, N-connector gain 6 dBi, VSWR<3, width 5.2 m, length 4.8 m, weight 35 kg. 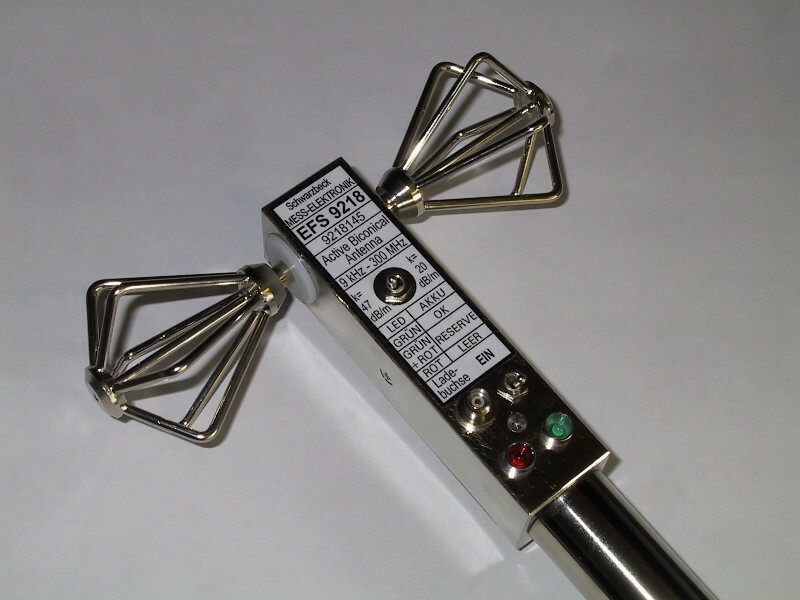 ESLP 9145 UHF – EHF Log. – Per. 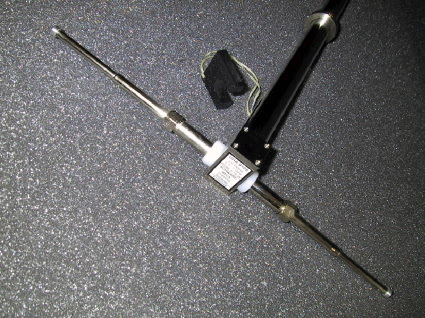 Antenna, (0.7) 1- 18 (20) GHz, N-connector. 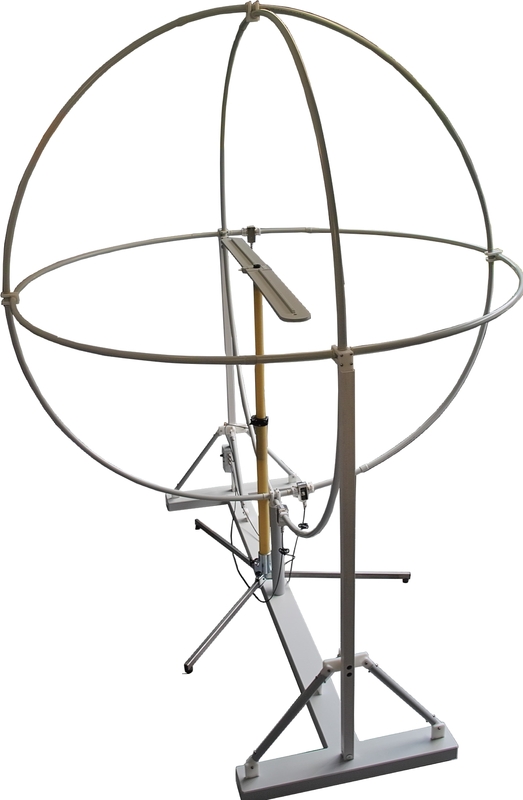 A new low attenuation cover allows measurements with radome. For older models with S/N<184 check manual! STLP 9149 Stacked double Log.-Per. 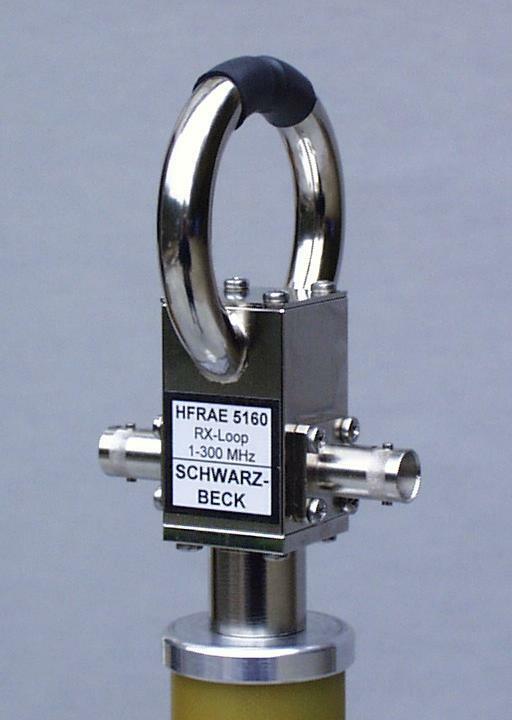 Antenna for IEC 61000-4-3 typ. 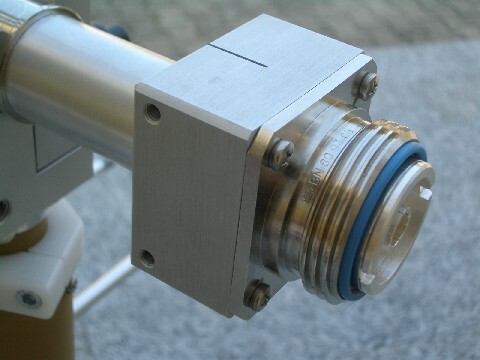 gain 10.3 dBi, (0,6) 0,7 – 9 (10,5) GHz, N-connector female. 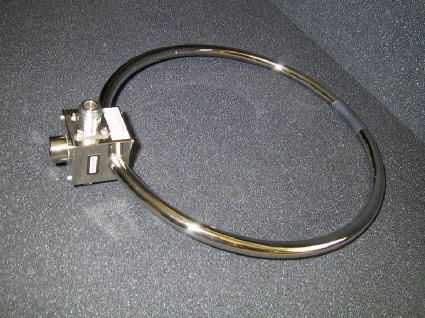 VULB 9165 LOGBICON Super Broadband test Antenna, (20) 30 – 1500 (2000) MHz, 10 W, BBAL Elem. 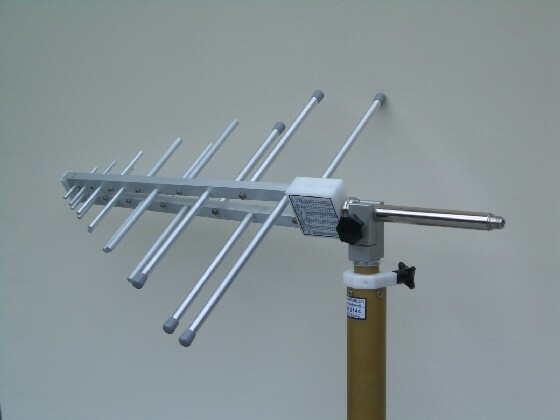 VULB 9166 LOGBICON Super Broadband test Antenna, 20 – 1500 MHz, 1 kW, BBAL El. VULB 9168 TRILOG Super Broadb. 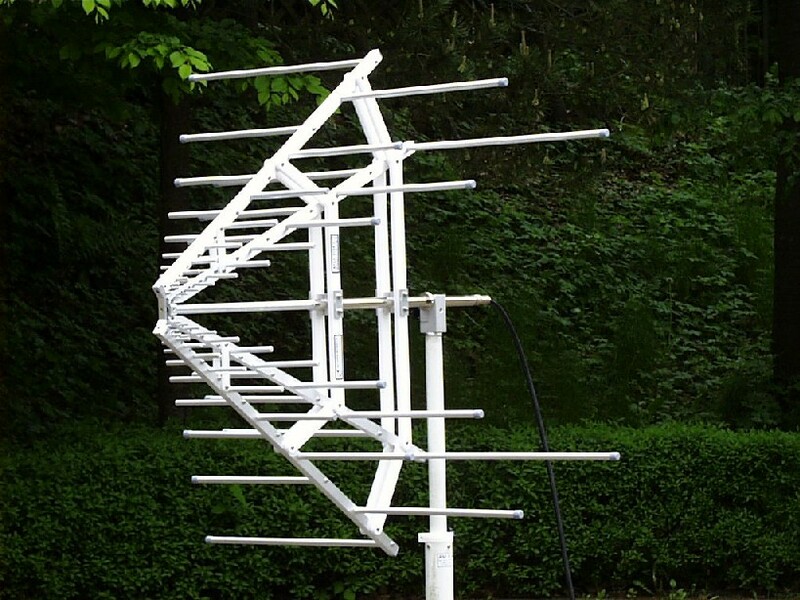 Test Antenna, (25) 30-1000 (2000) MHz, 10 W, reduced width, diameter < 1.5 m.
Opt. Triext. Option for VULB 9163, VULB 9161, VULB 9161 SE: angled Triangle Extensions to increase the gain by typ. 6 dB below 70 MHz. 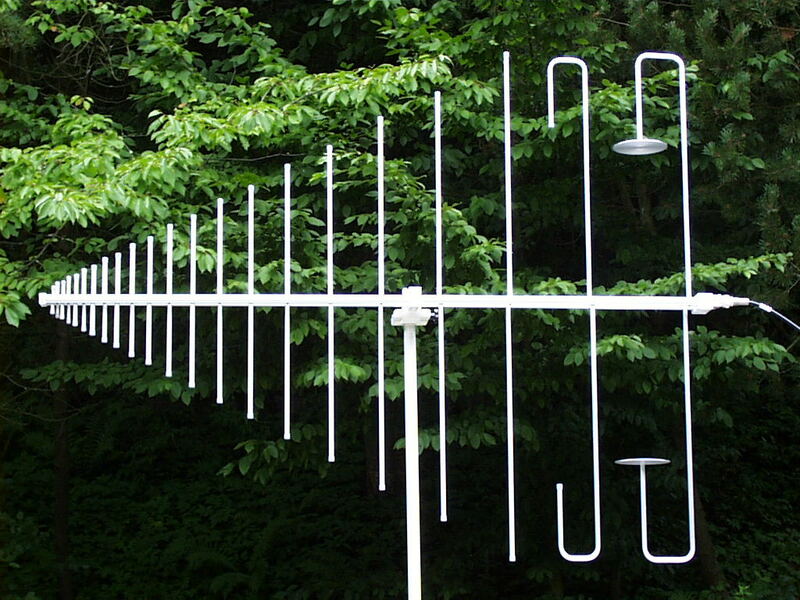 RS 16 Vertical polarized microwave biconical antenna (0,5) 1 – 6 (8,5) GHz with omni directional H-plane pattern. 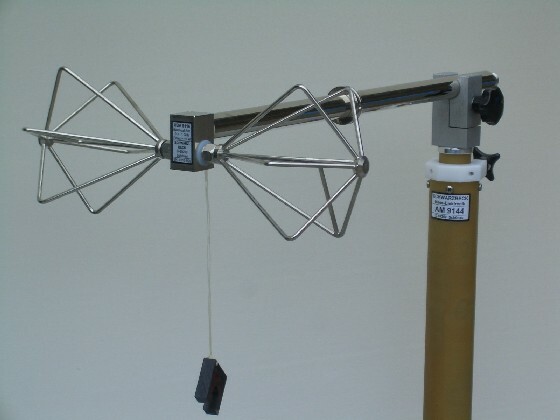 RE 1790 Vertical polarized VHF- UHF biconical antenna (170) 230 – 1000 (1100) MHz with omni directional H-plane pattern. 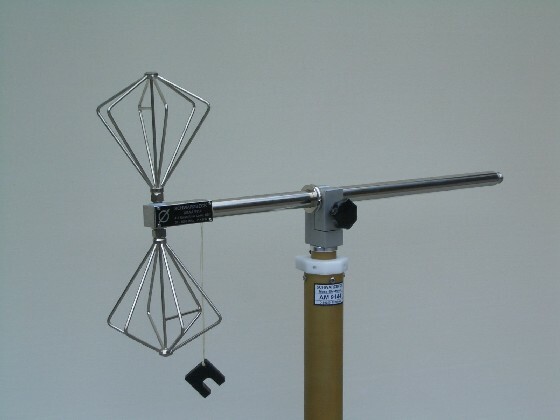 RE 4590 Vertical polarized VHF- UHF biconical antenna (330) 450 – 1000 (1100) MHz with omni directional H-plane pattern. 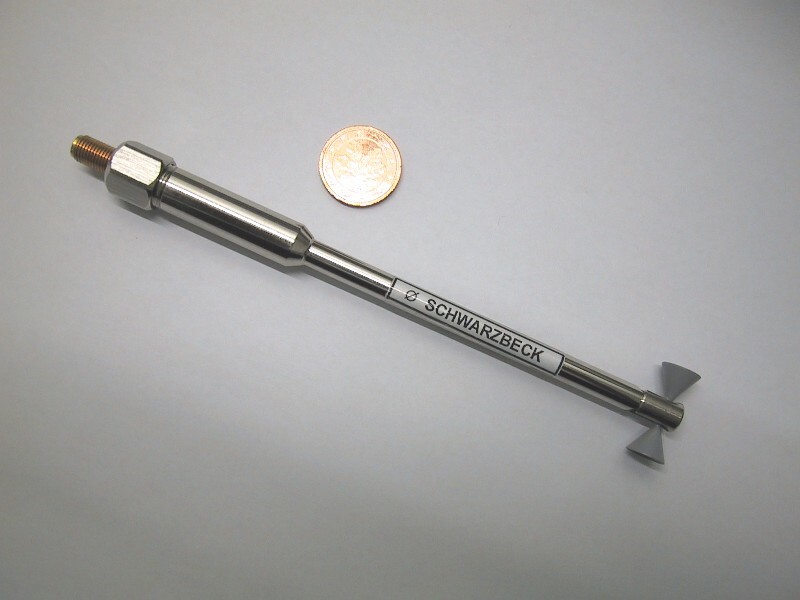 SBA 9113 B Small Biconical Antenna 80 MHz – 3 GHz for harmonics measurements acc. to IEC61000-4-3. 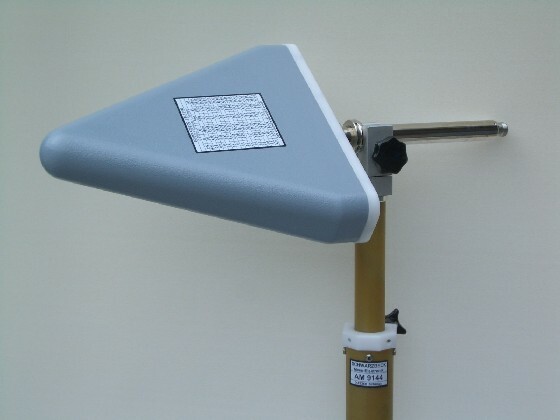 SBA 9119 Small biconical microwave antenna 1 – 6 GHz, 20 W. CIS/A/648/CDV CISPR 16-1-4 Site evaluation above 1 GHz. 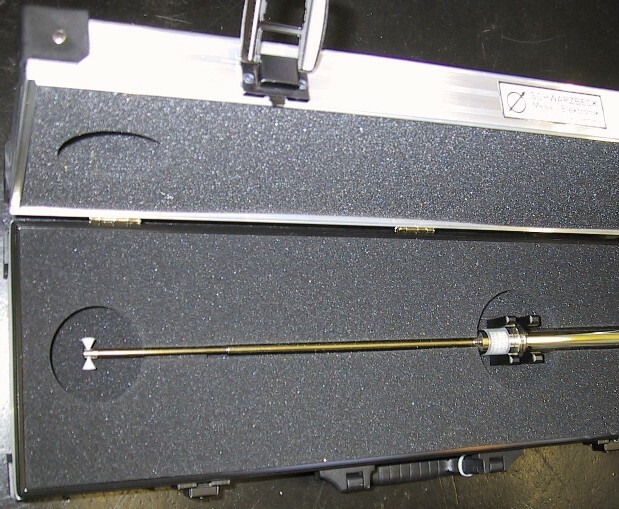 UHA 9125 C Tuneable UHF – Half – Wave Dipole with EMI – Balun, 0.75 – 2 GHz with 4 sets of elements, LE = 180, 140, 100, 80 mm. 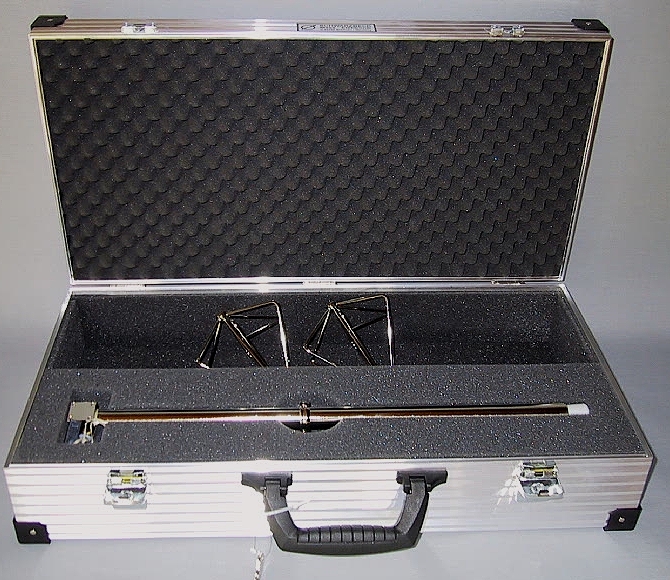 CCA Carrying and storing case for 2 x VHAP or 2 x UHAP, cases for other antennas also available. 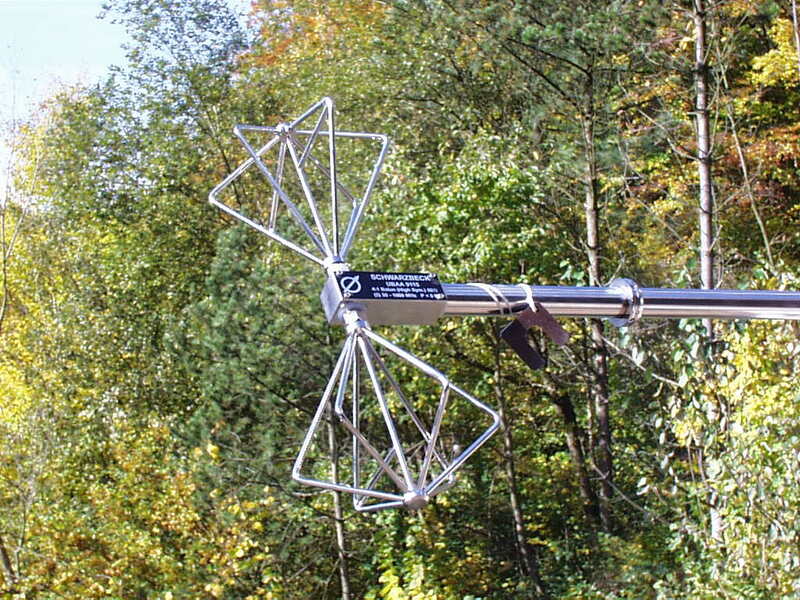 NMHA NMHA Antenna Set to test immunity against handy transmitters according to NISSAN standard. 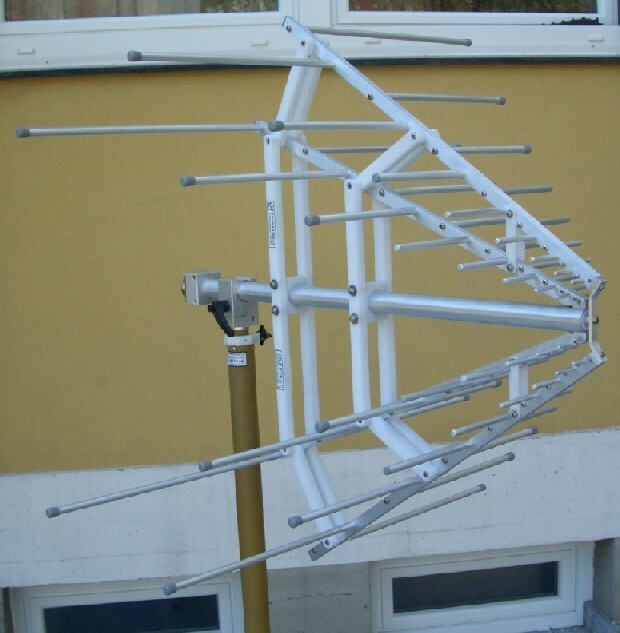 Consists of the following antennas: NMHA 28 Normal mode tuned helical 28 MHz, NMHA 52 Normal mode tuned helical 52 MHz, NMHA 122 Normal mode tuned helical 122 MHz, NMHA 145 Normal mode tuned helical 145 MHz, NMHA 155 Normal mode tuned helical 155 MHz, NMHA 165 Normal mode tuned helical 165 MHz, NMHA 223 Normal mode tuned helical 223 MHz, TQWA 410-455 Tuned Quarter wavelength antenna 410-455MHz, UHA 9125 C Tuned half-wave dipole 0.75-2 GHz, TSA 1270 Tuned Sleeve antenna 1.27 GHz, TSA 1440 Tuned Sleeve antenna 1.44 GHz, TSA 1750 Tuned Sleeve antenna 1.75 GHz, TSA 1950 Tuned Sleeve antenna 1.95 GHz and a transport case. 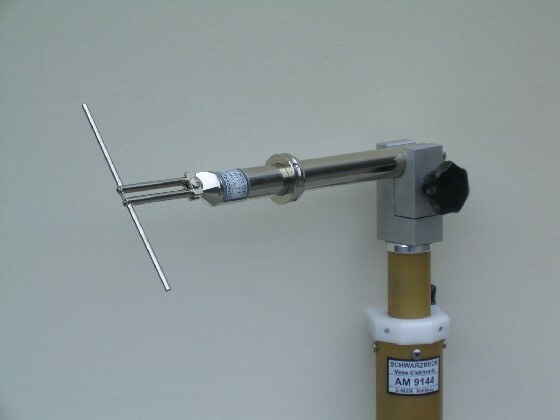 WAND0918 Wireless Immunity “Wand” Antenna acc. to Dell Specification „SYSTEM IMMUNITY TO WIRELESS GSM TEST REQUIREMENT” 800 MHz -2 GHz.